A Legionnaires outbreak at The Guest House at Graceland hotel has been confirmed by health officials at the Shelby County Health Department (SCHD). The hotel, managed by Pyramid Hotel Group, is located at Graceland, the Memphis, Tennessee tourist attraction centered on the life of late singer Elvis Presley. The Guest House at Graceland just opened to the public last October. Three people have been diagnosed with the bacterial infection caused by Legionella bacteria. The bacteria is transmitted to humans through inhaled contaminated air. The bacteria is typically found in freshwater water, but can also grow and spread through a building’s water system. The growth of the bacteria can be prevented by properly maintaining water systems in hot tubs, decorative fountains, drinking water systems, and cooling towers. 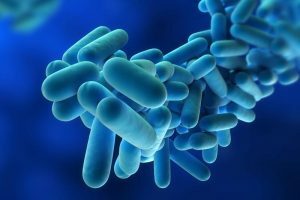 Legionnaires’ disease has symptoms similar to pneumonia, including cough, high fever and headaches. Symptoms can last between two and 14 days after exposure. However, most healthy people exposed to the bacteria do not present symptoms. Those at most risk of illness include current or former smokers, people with chronic lung disease, people over the age of 50, people with weakened immune systems, and people with underlying illnesses. Antibiotics are usually prescribed to treat the symptoms. In a statement released by the department, the hotel says it is cooperating with health officials. SCHD officials are working with the hotel to identify sources of transmission, find solutions to prevent future transmission and educate staff and patrons on the signs and symptoms of the disease. Those who visited The Guest House at Graceland between May 15 and June 26 and have experienced symptoms are urged to contact the SCHD.